Football and gaming has always gotten along nicely, and Puma know this better than anyone: their poster boy Antoine Griezmann has always been a sucker for a Fortnite celebration. So much so that Fifa have started to include Fortnite dance celebrations in-game. To celebrate this history of gaming and the great game, Puma have released their new Power Up pack. It can always be a bit cringey when a manufacturer like Puma tries to get “down with the kids” and try and link themselves to the gaming community; it can feel like your Nan trying to “floss” in the living room or your creepy uncle asking you what you do with the ladies of the night on GTA. But nevertheless, Puma have gone bold – in more ways than one – and have produced new gaming-inspired colourways for their Future 19.1 and the Puma One 19.1. 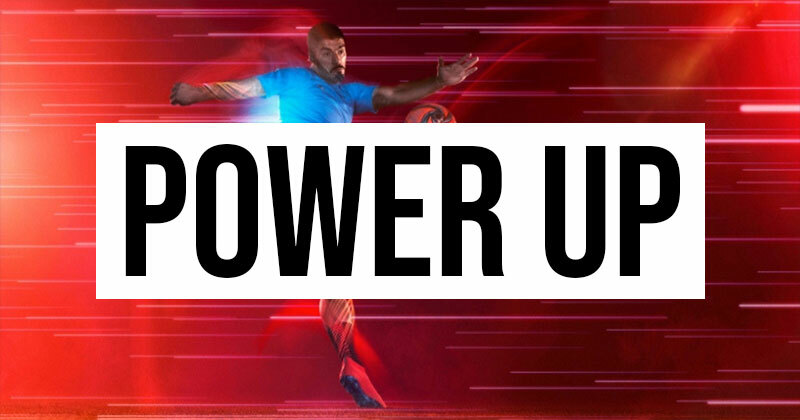 Puma’s new designs are all about taking things to the next level, hence the gaming reference to ‘power up’. It’s about levelling up, kitting yourself out in those stat boosting pieces of kit, receiving that health boost and going into the game stronger than ever before. 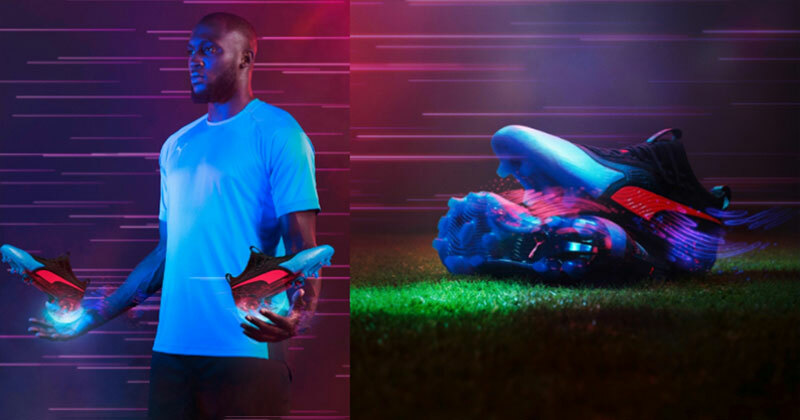 Unfortunately, with so much emphasis on powering up, little has been done in actually powering up the boot tech to make much difference to the Puma One. Apart from improved contour ridges on the upper in order to create much more spin when striking the ball, little has been changed from last year’s model - apart from the colour. You can choose to buy the new Puma One in K-leather, and for all the vegan ballers out there you can get yours in synthetic alternatives at no extra cost. The One has split up its three colours evenly across the whole boot to create quite a stylish and very videogame-like aesthetic which we actually kind of dig. The boots look great in the media release from Puma, but we want to wait to see how these things look out on the pitch without the neon, gaming inspired backgrounds in place of the green of the pitch. The new Future 19.1 from the Power Up pack is definitely sticking more to Puma’s message of an upgraded edition with a bunch of new boot tech being rolled out for the release. With combined NETFIT and a new 3D Havoc Frame producing a single knitted evoKNIT PRO upper, giving the closest ball control feel to date, we feel as though we’re essentially at the last step before players just screw their studs straight into their bare feet. The Future is actually working towards the re-invention that Puma are pushing for, much more than the One, in our opinion anyway. 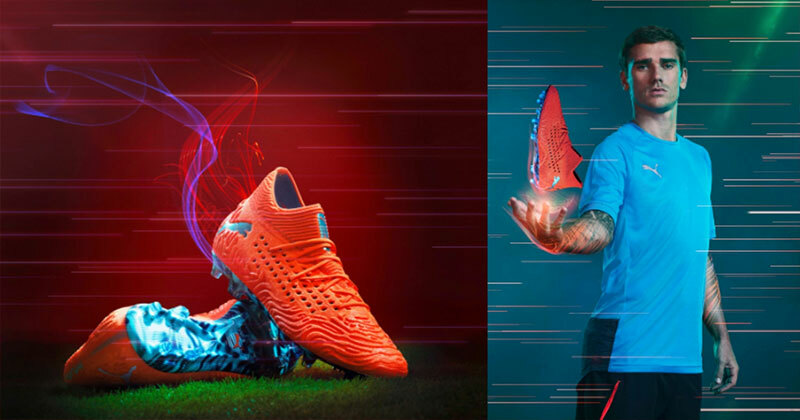 Although both boots make use of the same “Bleu Azur/ Red Blast” colourway, they utilise them in very different ways. The Puma Future is an almost completely red colourway, with the Bleu Azur being used to accentuate the Puma Logo on the outside of the heel casing, the top of the boots upper and the sole plate. Now that we’ve seen what Puma’s “3D Havoc Frame” psychedelic ridges are able to do on the pitch – actually adding some power and control when striking – we’re hoping that we see more of it, and we’re hopeful of where Puma can take it in the future. 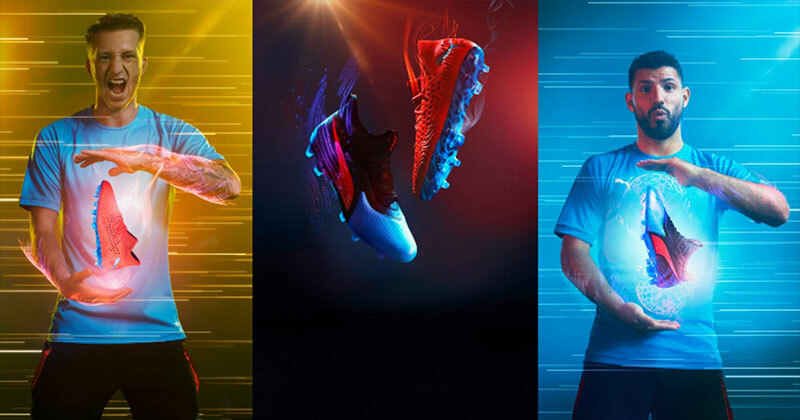 Puma have landed some big players for their new ‘Power Up’ pack so we are definitely going to get to witness these football boots in action across a number of different leagues. We’re also curious as to how gaming fans receive the new boots. Are the boots a poor way of getting in the pockets of the gaming/football fans, or have Puma actually been able to link the bridge between virtual and reality? Let us know what you think about the new colourway and if you like the look of them, you can find the best prices right here with us.